Whilst organic barley grass powder is an ideal ingredient in all of your favourite smoothies, shakes and juices, it’s also worth remembering that it’s an exceptionally versatile green superfood supplement that can be added to almost any rawfood recipe. 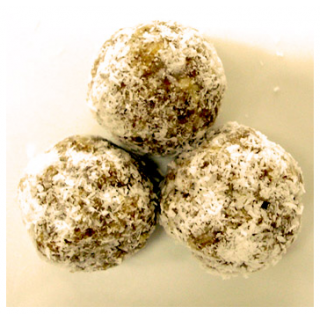 Our recipe for mouth-watering barley grass bonbons below is an excellent example. First pop the cup of mixed organic seeds into your blender and grind into a powder. Next add in the remaining ingredients and carefully blend (we like the using the pulsing action for this) until it forms a lovely firm mix. Take the mix and form into balls. It is upto you how large or small that you want them. 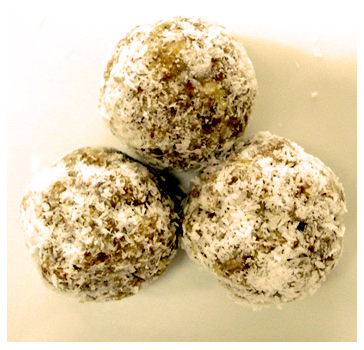 Lastly, roll into some desiccated coconut or sesame seeds. Or you could also roll in some chopped nuts, the choice is yours! Shipping in excess of 12,000 orders per year, we get a review average of 4.9 out of 5. Find out why customers trust us. 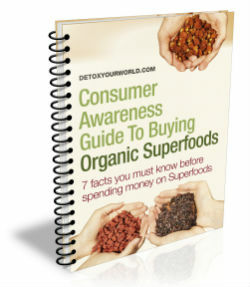 Discover 7 facts you must know before spending money on superfoods. Enter your first name and primary email and click 'download E-book'.